Clarke says the startup is also exploring the possibility moving to a premium model, where the most active users of the platform pay for a subscription that gives them access to additional value-add features. The Holy Grail of hyperlocal advertising is an untapped opportunity, too, given that the app already boasts over half a million users. 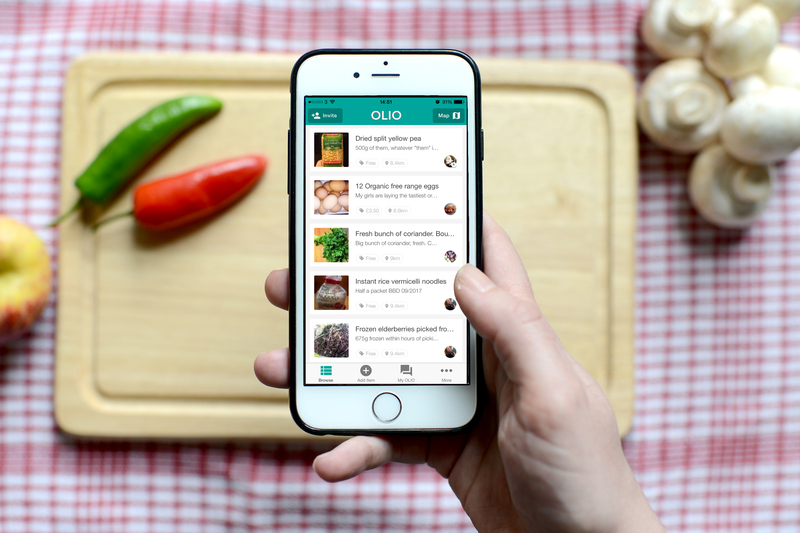 What is most striking when hearing the Olio co-founder talk about the young company is how mission-driven she, her team and the app’s community are. That’s because not only is food waste an expensive problem — over $1 trillion per year, apparently — but the environmental dent food production and distribution makes is huge, while a growing population means that food shortages will realistically become an issue in the future. Factor in that Olio can and, to a certain extend, already is helping to alleviate food poverty, and it’s easy to understand why.